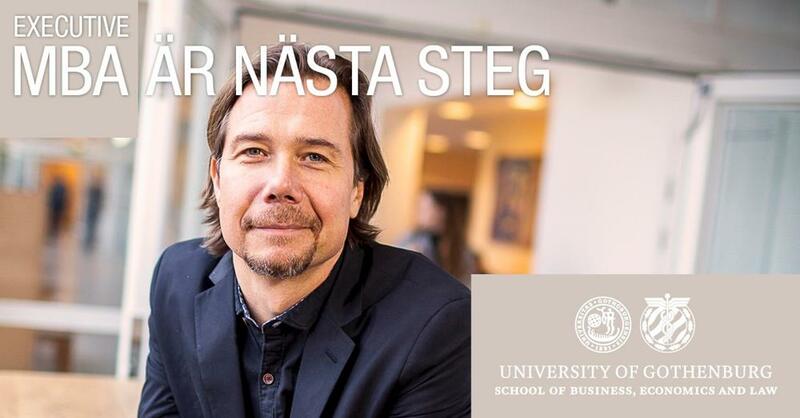 The Gothenburg Executive MBA programme is the only Triple Crown-accredited MBA programme in Sweden. It is a part-time management programme conducted in English over 21 months. The next Executive MBA programme starts October 3, 2019. We use rolling admission and process applications on a first-come, first-served basis. Please note that the maximum number of participants is 30. To learn more about our Executive MBA Programme, we highly recommend you to participate in one of our Information Sessions. Each session will begin with a presentation, followed by a discussion where you can get answers to your specific questions. The meeting is free of charge, and we will serve a light snack and refreshments. We usually invite current or graduated Executive MBA participants to offer you their perspectives of the programme. You are welcome to bring a guest to the Information Session. >>Click here to sign up for an information session, or use the form below. The School of Business, Economics and Law is the only Triple Crown accredited business school in Sweden. Fyll i formuläret för att få mer information om Executive MBA Information Session in Gothenburg, direkt från arrangören. Det är gratis och inte bindande! Gediget och välstrukturerat informationsmöte gällande Handelshögskolans Executive MBA-program. Jag hade högt ställda förväntningar inför mötet och bestämde mig direkt efter infomötet att anmäla mig till programmet. Rekommenderas! I highly recommend attending GU School of Executive Education's information sessions! It is an excellent way to get answers to specific questions about the programme and the admissions process. And it helps you get introduced to the programs Executive MBA alumni to get direct feedback from those who previously attended!